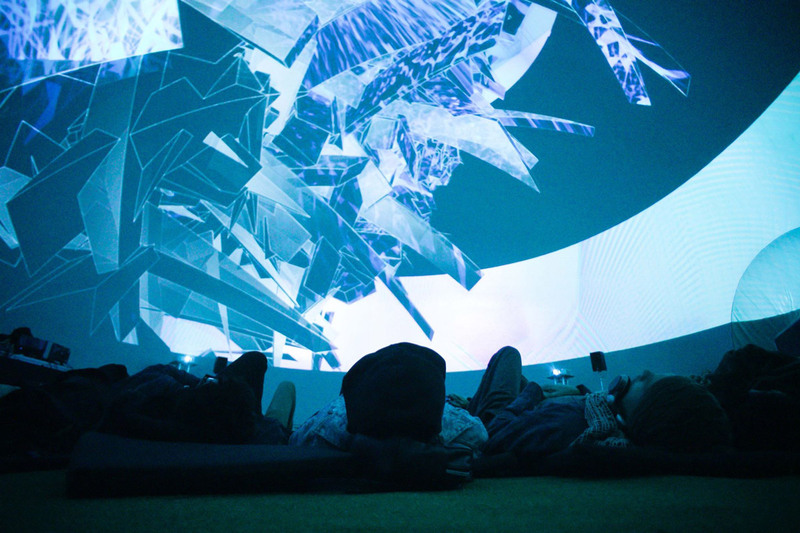 Adidas official sponsor of MIRA, the major Festival of Digital Arts in Barcelona, wanted to place their last design of Adidas Originals at the Immersive Cinema installation based on a Full Dome experience with room for more than 150 people. The festival, consecrated in the city, is a main reference in the AudioVisual industry. Since the first edition, MIRA brings together dozens of artists and innovative projects, giving them visibility and gathering a cultural and specialized public. 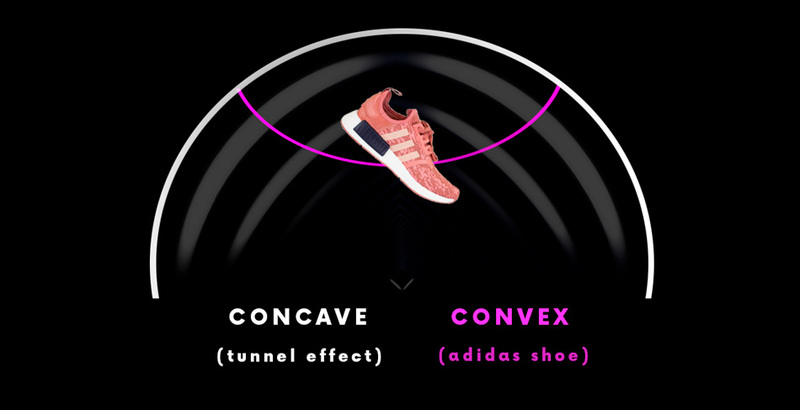 We based our design for the introduction titles on a concave – convex effect in order to emphasize the depth sensation between the shoe and the background. The background would be a luminous tunnel generated in 3D, that interacts with the real shoes. 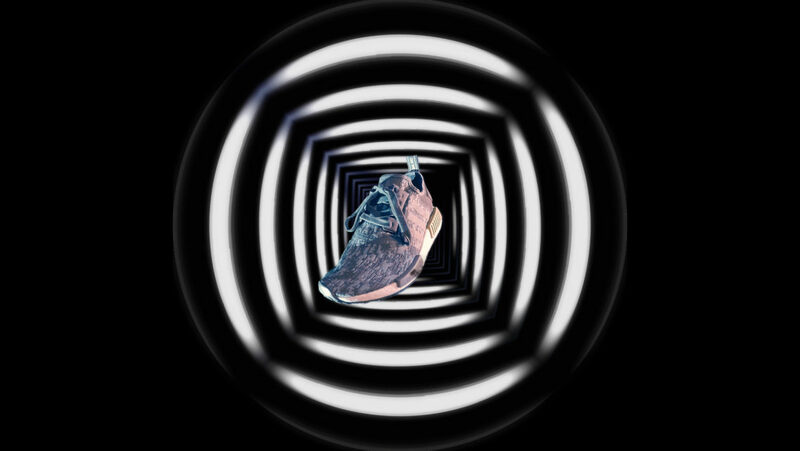 In addition, we capture the products filming them through fisheye lenses, in order to stress the convex deformation while the shoes rotate over the heads of the spectators. 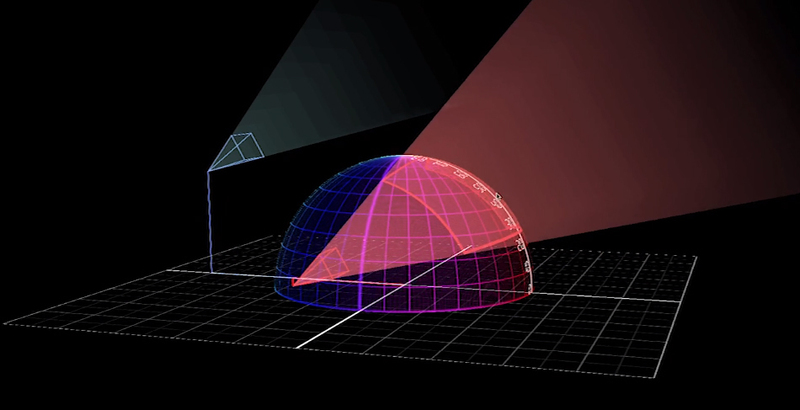 The installation of the Full Dome was in charge of Eyesberg Studio, who needed up to 5 projectors to cover the extensive canvas. The installation contained immersive pieces of different artists and studies in a constant projection during the days that the festival lasted.